Have a real estate need? Plan on selling or thinking about a real estate purchase? 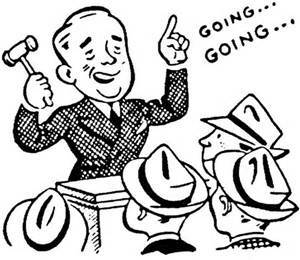 Vince Wells Real Estate - Auction - Insurance is an experienced agency, connecting property owners with buyers and insuring automobiles, homes and most all other valuable items such as motorcycles, boats and campers. located in downtown Carlisle (Nicholas County) which is an approximate 30 minute drive from Cynthiana, Paris, Maysville, Flemingsburg and Mt. Sterling. We are also located approximately 45 minutes of Lexington and hour and a half of Louisville and the Greater Northern Kentucky area. We are a independent agency and represent top rated companies such as AAA, The Hartford, Safeco, Travelers, Progressive and more. By representing so many top quality companies we are able to get you the best insurance coverage at the best price from a company that you can count on in time of need. Most of all, your insurance will be serviced by your local agent. Having Vince Wells Real Estate - Auction - Insurance in your corner makes selling real estate and servicing your insurance needs alot easier on you. Call us at 859-289-5594 or stop by our convenient office location in Carlisle to find out the many benefits of having our company sell your real estate or insuring your home and autos.